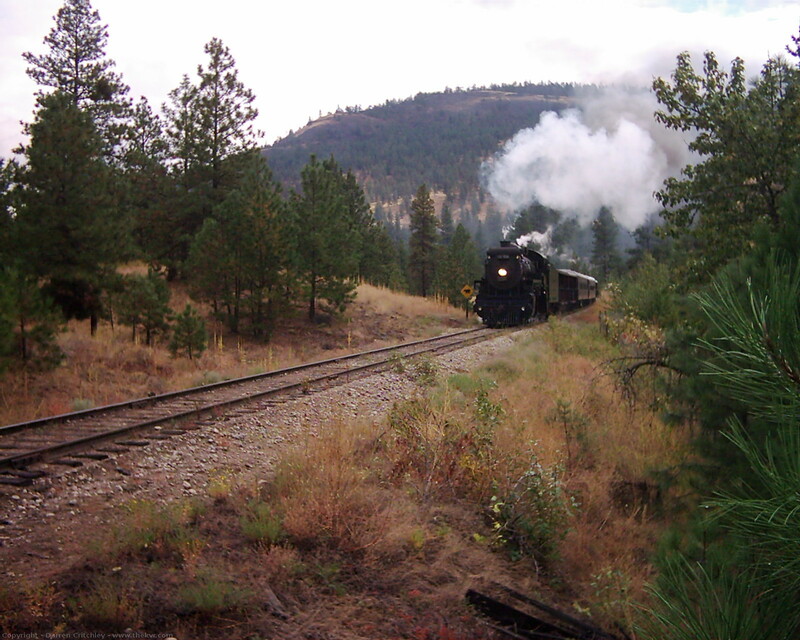 No website about the Kettle Valley Railroad would be complete without a ride on the Kettle Valley Steam Railway. 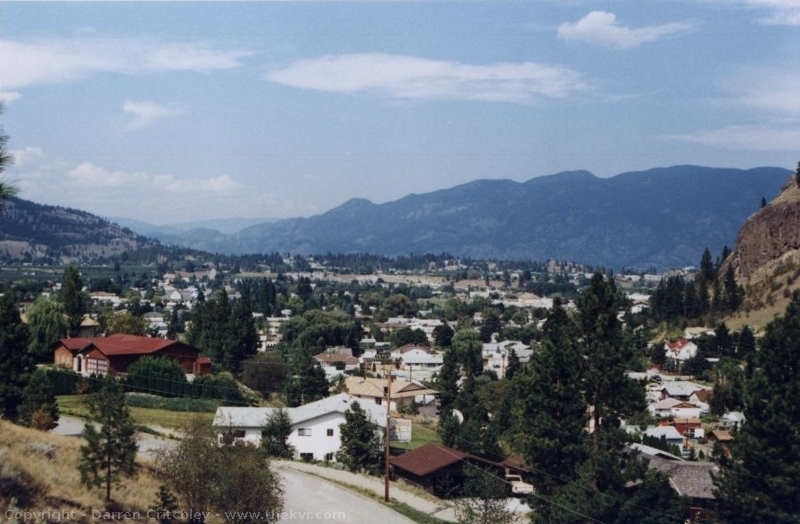 The image on the left is a view of Summerland as seen from the Kettle Valley Steam Train. 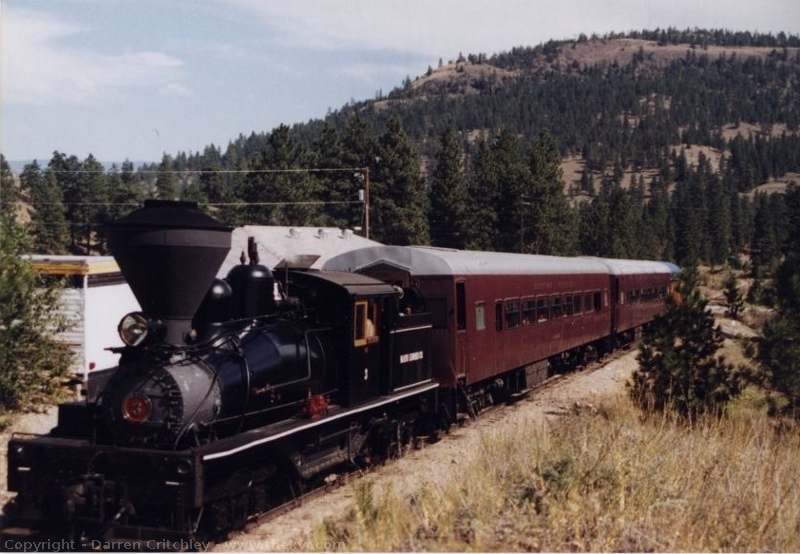 You start off at Prairie Valley Station and wind your way around the valley and then finally end up at Winslow. 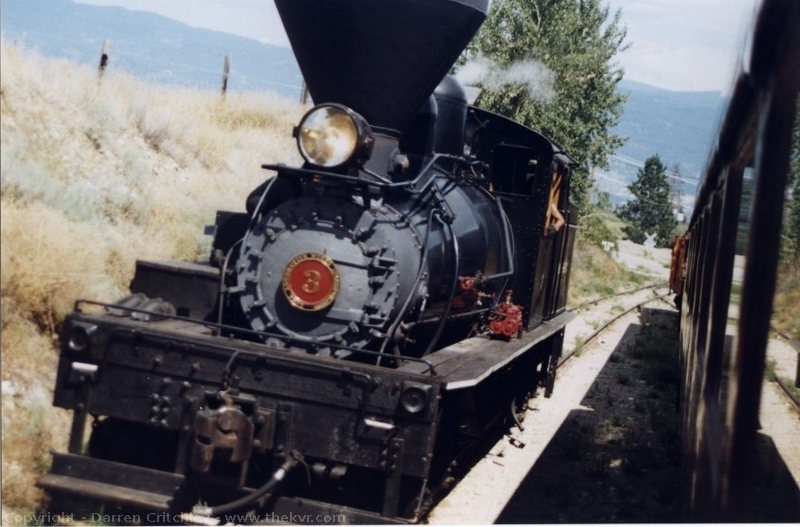 There they detach the engine, turn it around and then take you back. 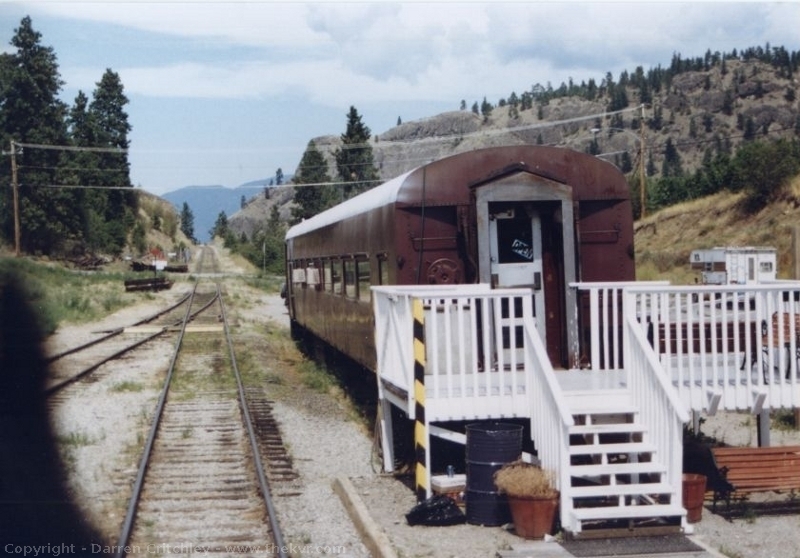 This used to be the headquarters for the Kettle Valley Steam Train Society. 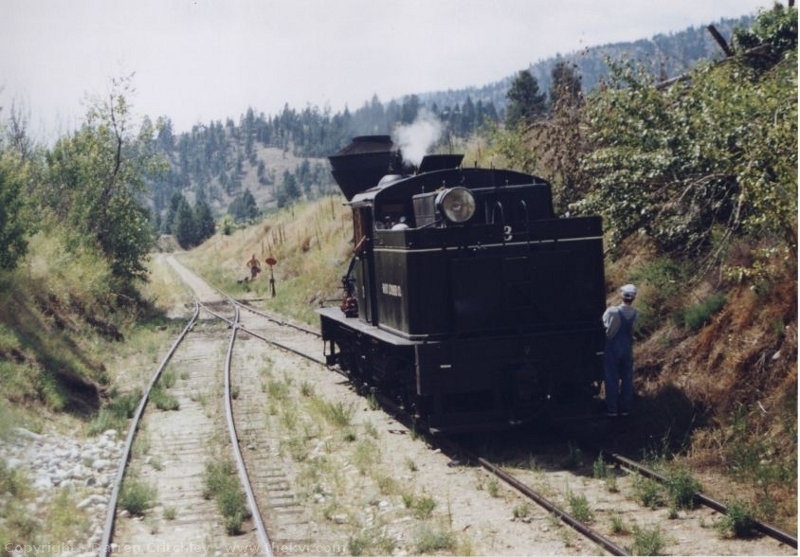 I am not sure if it is still there or not as I have not been between Prairie Valley Station and Winslow in a very long time. 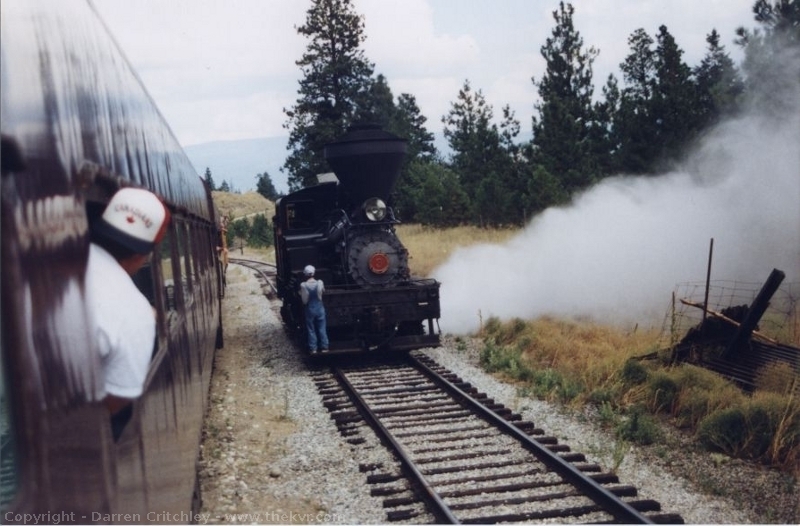 This is actually a siding between Prairie Valley and Winslow. 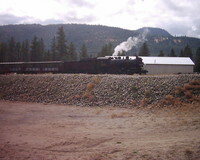 At one time there were some sheds here and work on the steam train was done here. 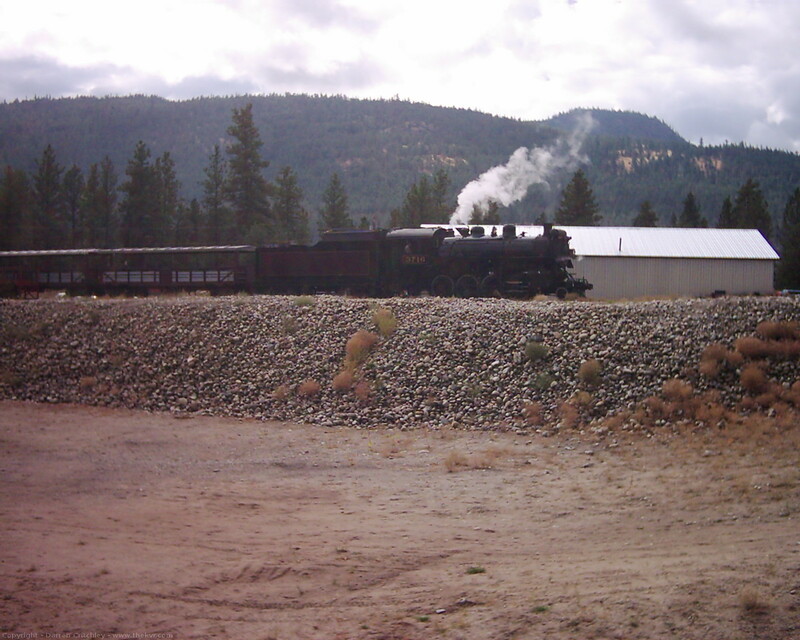 Since then, a new shed has been erected at Prairie Valley Station. 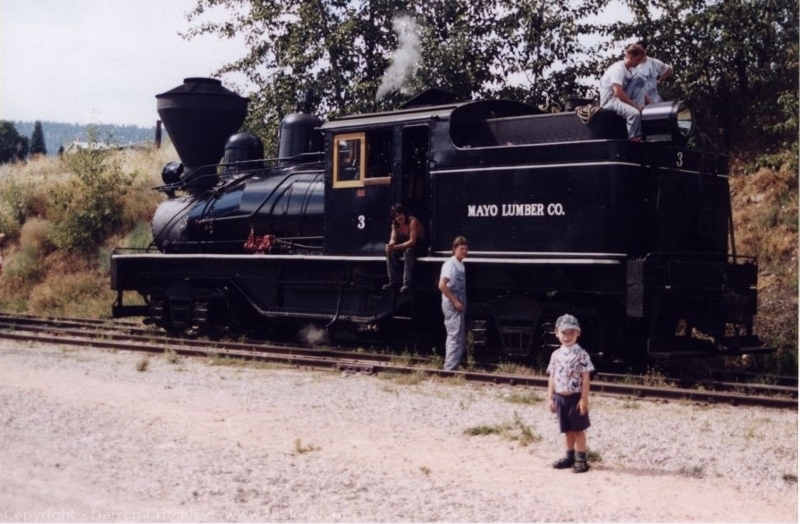 Here are some pictures of the logging shay that was the first engine acquired by the KVSR which was actually fired by diesel to make the steam. 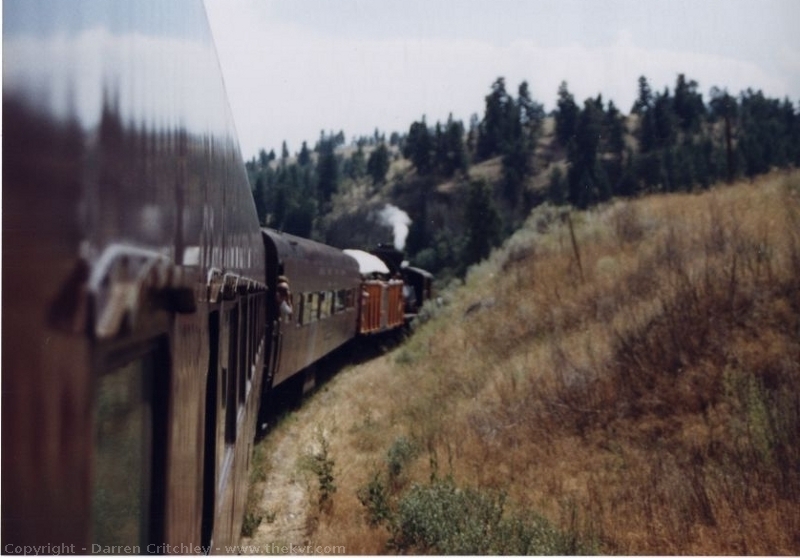 Remember to click on an image to see the larger image. 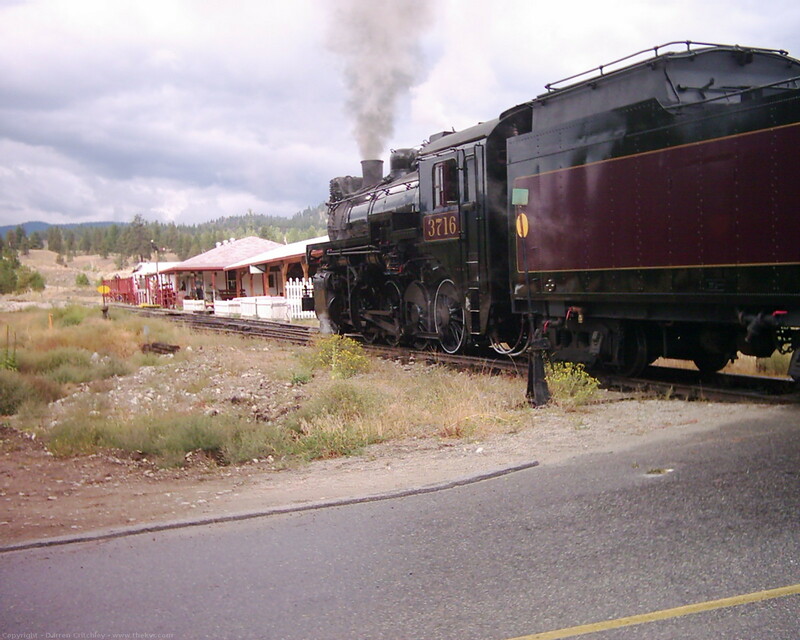 Of course they now have the 3716, a much larger and grander engine for pulling the Kettle Valley Steam Railway cars. 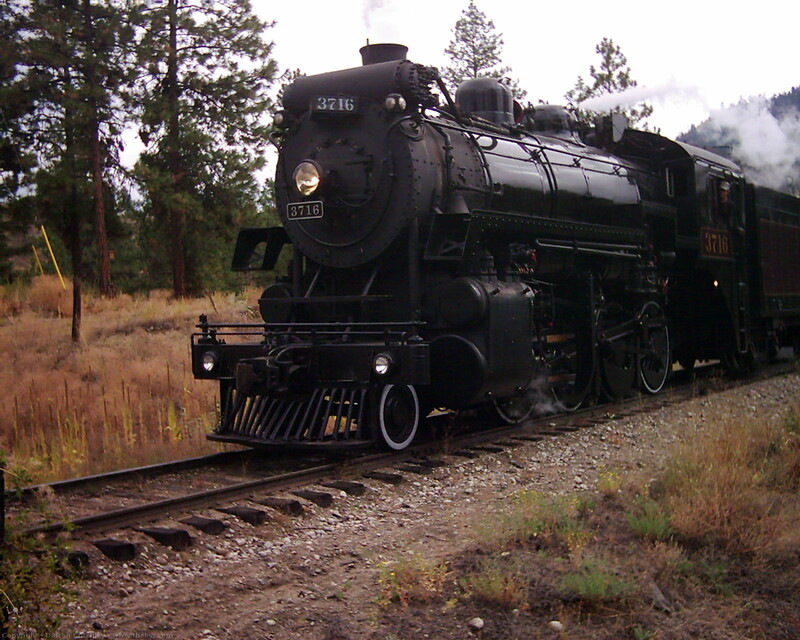 It makes a magnificent sound when it goes by! Click on a picture to see a bigger version. Click on an Picture to see a bigger version.